As we always say, here at Benedetti Orthodontics we only provide the latest advancements in orthodontics to our patients. We understand how important your time and investment is; therefore we always strive to make sure we remain the most digitally advanced orthodontic office in Fort Lauderdale!! We are happy to have the iOC scanner as part of our fully digital office!! But what does this mean for you? 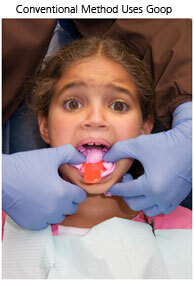 No more goop, gagging, or discomfort!. 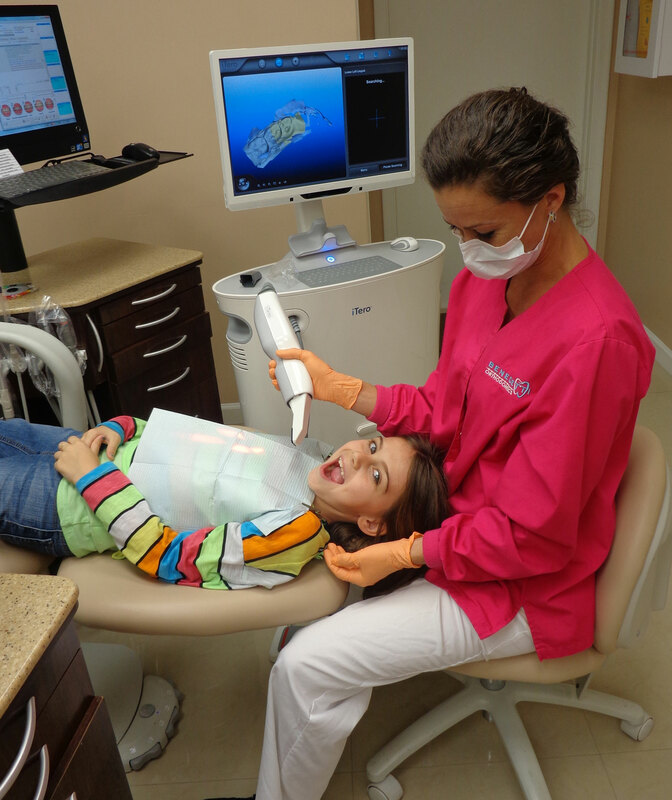 Using an iOC™ scanner, Dr. Benedetti can take a highly accurate digital orthodontic impression. This new technology completely eliminates the tray and putty impressions where the experience is comparable to stuffing a big wad of gum in your mouth. The old technique is incredibly unpleasant and uncomfortable. Often multiple rounds of impressions are needed which can be rejected, broken, or misplaced. The iOC scanner ensures a more accurate impression from the start, resulting in improved orthodontic treatment and a more comfortable patient experience. Digital impressions also give you the ability to see your teeth instantly in 3D, improving communication during the consultation and treatment process. How Does it Work? The iOC scanner digitally captures the structure of the teeth and gums using the latest optical technology. It scans the mouth with a radiation-free laser and, in six to eight minutes, renders a digitally perfect, 3-D impression of the teeth and soft tissue structures. Through digital software you’ll then be able to follow the progress of the scans with Dr. Benedetti, including a three-dimensional model of your teeth on our computer screen. The iOC scanner can be used for any orthodontic treatment including traditional metal braces, Invisalign, and Invisalign Teen. 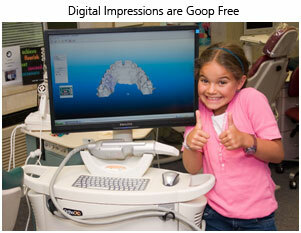 Impressions taken with the iOC scanner are perfect every time and last a lifetime.